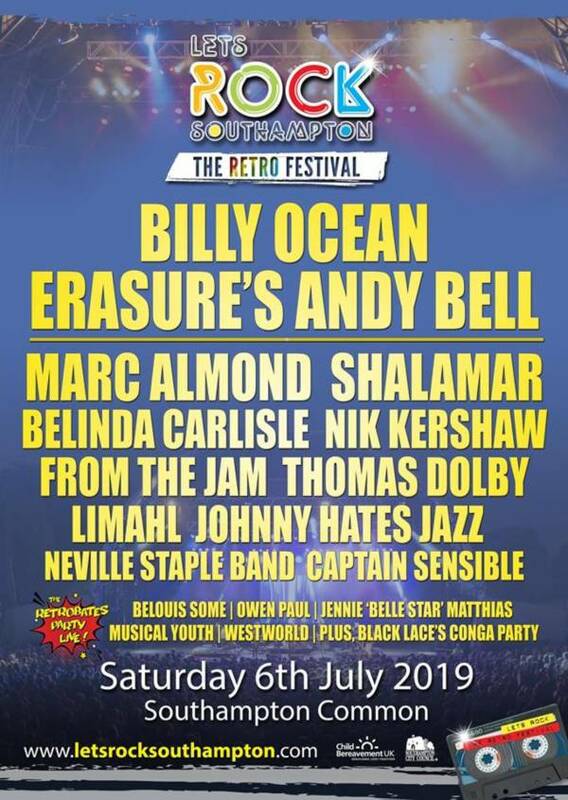 Let's Rock Southampton returns, to bring you the very best of the 80s, and an action packed day of general 80's madness, there is plenty to do for everyone at this Family Friendly Festival! Tons of attractions to keep the children happy, such as our free Bigtopmania circus, a super funfair including water rides and soft play areas, as well as children’s entertainers from BBC/ITV, Let’s Rock Southampton! offers the perfect day out for all the family. Multiple bars and a wide range of quality food outlets, selling everything from hotdogs to award-winning Tandoori, means every taste is catered for. Posh toilets will also be available for those that like a little bit of festival luxury plus a new, fantastic VIP package. Enjoy their “Changeover Party” which includes an array of entertainment during those dull band changeovers, including their new “BigScreen Sing”, DJ’s from Absolute 80s, other Entertainers and TV legends to keep the party going for the whole day! Don’t miss out on this retro blast!